Discover Charlotte in Style with Luxury Privileges - Fugazi Travel Agency Inc. Experience exceptional Southern Hospitality and create a memorable experience at The Ballantyne, a Luxury Collection Hotel. Savor a moment of peaceful reflection at our spa and pools or embark on a culinary journey rich in style and taste at Gallery Restaurant. You can also experience manicured greens and lush fairways on our championship golf course. Explore Charlotte’s exciting attractions and recreation in close proximity. PLUS many Exclusive amenities. 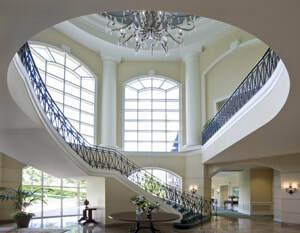 Experience exceptional Southern Hospitality and create a memorable experience at The Ballantyne, a Luxury Collection Hotel. Savor a moment of peaceful reflection at our spa and pools or embark on a culinary journey rich in style and taste at Gallery Restaurant. You can also experience manicured greens and lush fairways on our championship golf course. Explore Charlotte’s exciting attractions and recreation in close proximity. 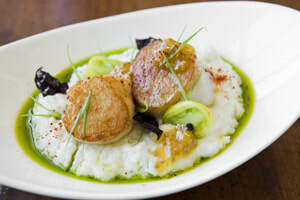 takes a progressively Southern approach to exquisite new American cuisine. serves sandwiches, wraps, snacks and beverages. the ideal spot in the lobby for coffee and express breakfast, featuring fresh croissants and hot breakfast sandwiches.